Groenvlei commercial beef and Droughtmaster stud farmer, Rustin Shawe (37) has been selected as the Kwanalu 2018 KZN Young Farmer of the Year. 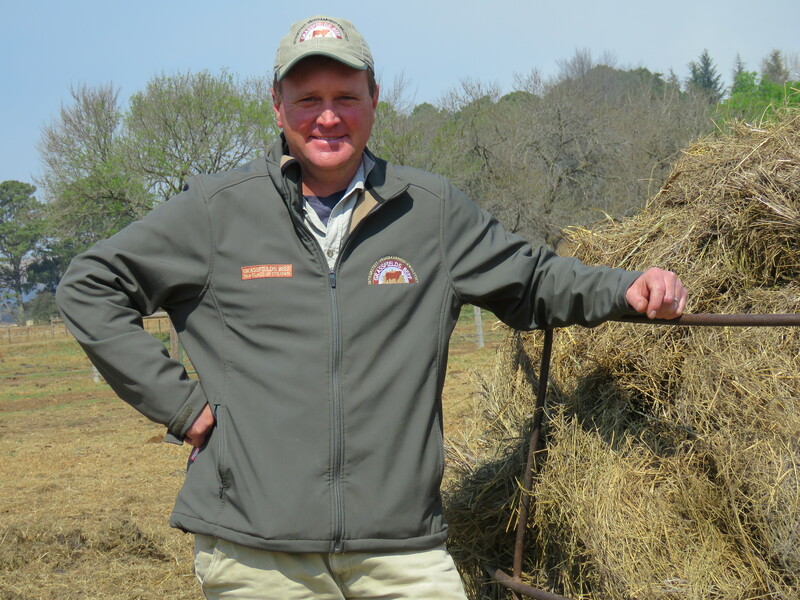 Rustin will go on to represent the province for the 2018 Toyota SA / Agri SA National Young Farmer of the Year title, going up against top candidates from all eight provinces, in a bid to secure the much sought-after title, as well as a brand-new Toyota Hilux Single Cab. The winner of the 2018 Toyota SA / Agri SA National Young Farmer of the Year will be announced on October 18 at the Agri SA Young Farmer of the Year event to be held in Johannesburg. “This year’s entries make us proud of the vast farming talent we have in KZN,” Sandy La Marque, speaking at the event. Other changes implemented by Rustin, that have contributed to the success of the business, include his decision to keep all his heifer weaners every year and let “nature take it’s course”, to increase his herd sizes over the summer months, a decision to keep all bull calves thanks to a loan from the Landbank, the purchase of a 700ha grazing farm for summer veldt grazing and the building of four dams on the properties which have transformed and prolonged the life of his grazing paddocks. Grassfields Farm also boasts its own sale complex which hosts an annual production sale. 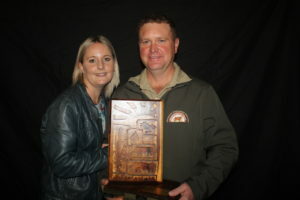 Using social media as a means of marketing, Rustin hosts the annual sale of his Grassfields beef and Droughtmaster stud herds – a sale that is well known in the industry. Currently on Grassfields Farm, Rustin farms 1 500 Grassfields beef cows and heifers, 350 Grassfields beef Africa Droughtmaster stud cows and heifers, 470 Grassfields one-year-old heifers, 100 Grassfields beef Africa Droughtmaster one-year-old stud heifers, 600 long yearling oxen, 150 one-year-old bulls, 90 two-year-old bulls and eight Grassfields beef Africa Droughtmaster stud bulls. Along with his cattle, the farm has 30 riding horses, used by his herdsmen, and 20 breeding mares, that are an important factor due to size of the operation.